Hi everyone. My name is Nolan Lawson, and this talk is "Offline, progressive, and multithreaded: a peek at webapps of the future." Now, already that's a pretty ambitious title – who am I to say what I think webapps might look like a year, five years down the road? 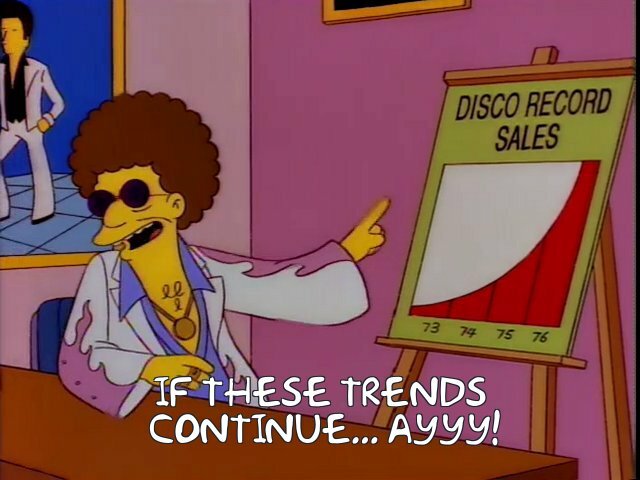 But what I'm going to try to do in this talk is look at existing trends and extrapolate into the future. Of course, with any extrapolation from existing trends, there's the potential of getting it wrong. 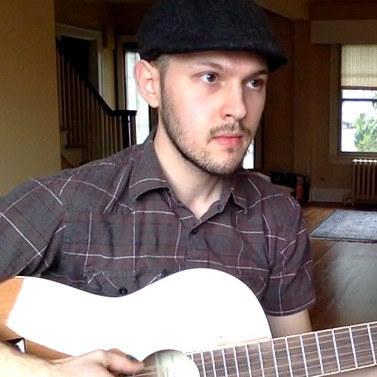 This is me; I look like the dude in the hat with the guitar. I work for Microsoft on the Edge team. In particular I work on the performance team, focusing on browser performance and also meeting with webdev teams to help them make their websites faster. This is a good time to mention, though, that the contents of this talk represent my point of view and not that of my employer. So if I say anything controversial or outlandish, that's on me and not on my employer. For instance, if I tell you the moon is made of cheese, that's me saying it and not Microsoft (and by the way, it is delicious cheese). 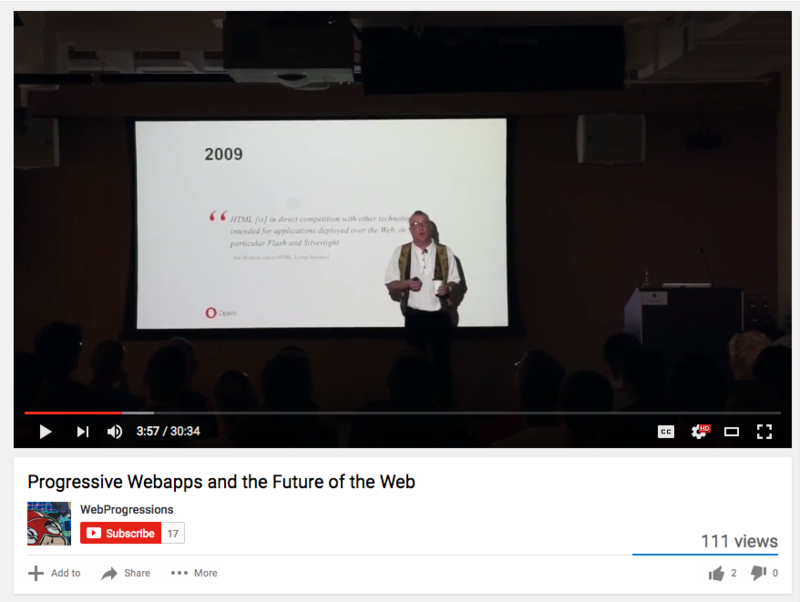 So when I talk about webapps of the future, almost inevitably I am talking about progressive web apps. This is the "new hotness" that everyone is talking about these days. I hesitated to even put "progressive web app" in the title, because I didn't want folks to think "oh, another PWA talk." But what I'm going to try to do in this talk is figure out where Progressive Web Apps came from, what high-level problems are they trying to solve, and where do they fit in in the overall zeitgeist of the web. 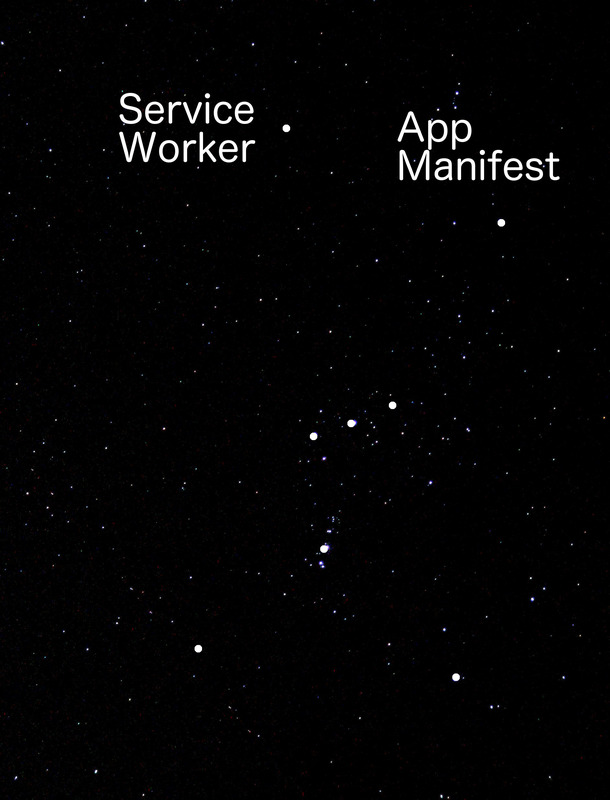 If you just look at the raw features that are commonly associated with Progressive Web Apps, it can feel a bit like an unrelated constellation of features. 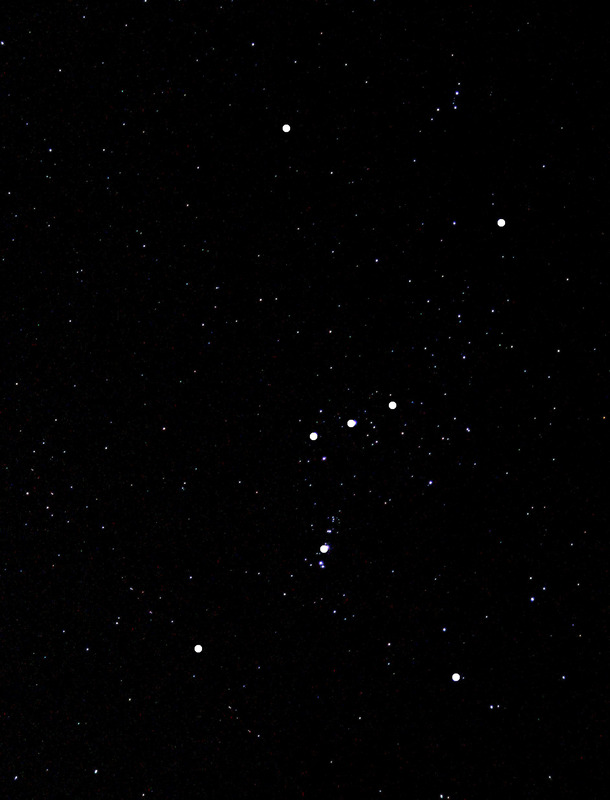 And like any constellation, sure you can make some dots and draw some lines, but it's not guaranteed you'll be able to see what picture the lines are supposed to draw. Bruce Lawson, though, has a really great talk on PWAs where he explains where they fit into the web's history. He's been in the industry longer than me, so he's got a much deeper perspective on this. What he points out in the talk is that, if you were building web sites 10-15 years ago, and you wanted to build rich, immersive experiences for your users, you were probably using Flash. It was proprietary, it was nonstandard, but it was how you built quality web sites in those days. HTML [is] in direct competition with other technologies intended for applications deployed over the web, in particular Flash and Silverlight. 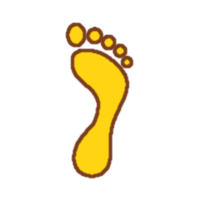 When the WHATWG and HTML5 got started, though, one of the explicit goals was to tackle the problem of Flash. HTML5 was directly seen as a response to the challenges to the web platform posed by Flash. The goal wasn't to just rewrite Flash APIs as web standards, but instead to take the best concepts of Flash – file upload, copy/paste, animations – and bring them to the web. And by all accounts, it worked! Today if you want to build a high-quality desktop site, you don't need to use Flash anymore. We won on desktop! [The web] won on desktop, just in time for mobile to eat the world. Unfortunately, as Alex Russell points out in this talk, we won just in time for mobile to eat the world. Alex asks an interesting question of the audience: do you use a native or web app as your desktop email client? Majority of hands say web. Then he asks the same question for mobile – complete opposite response! So now we find ourselves in a very similar solution on mobile to where we were on desktop 10-15 years ago. If you want to build a high-quality, immersive experience for your mobile users, you write a native Android or iOS app. Maybe it's a bit painful for folks like us – folks who love the web – to acknowledge, but the market has spoken. In terms of hours spent and in terms of top-quality experience, native is winning. And this is where Progressive Web Apps come in. In the same way that HTML5 was a response to Flash, PWAs are a response to native mobile. Again, the goal is not to just take every Android/iOS API and rewrite them for the web, but instead to take the high-level concepts and port them over to the web, while preserving what makes the web webby. 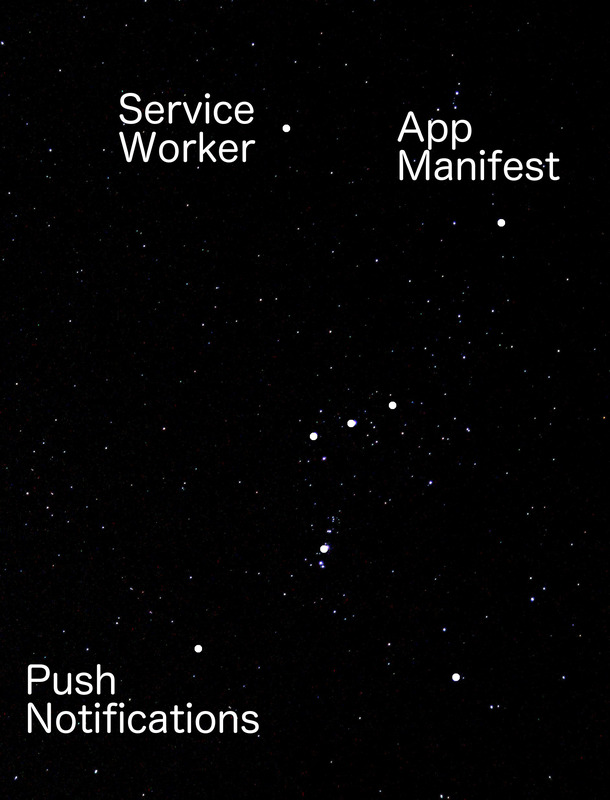 Seen in this light, the high-level concepts – the philosophies – behind PWAs start to make more sense. When I read the literature on PWAs, I feel there are three high-level features associated with them, each of which draws a comparison or a contrast with native apps. First off, they are offline – they work well without an internet connection or with a poor one, they are progressive – they progressively reveal bits of functionality the more you use the application, and they're multithreaded – they take advantage of the device capabilities to run tasks in parallel. 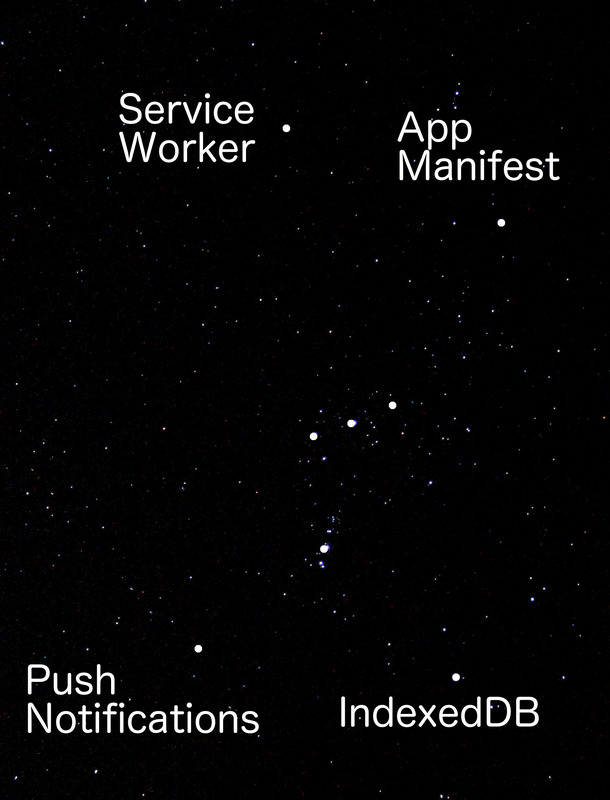 Each of these we can compare to native apps. Offline? native apps do this fairly well. They don't always do it right, but for the most part, native developers are at least aware of offline states, and tend to show a spinner or cached content instead of just an error page. Progressive? Interestingly, this is one case where native apps are actually terrible. It takes so long to download an app from the store! This is actually something that the web is already designed to handle very well; it's in the web's DNA! And it's a feature of the web that we don't want to lose, as we make it more app-y. The third is multithreaded, and here I would argue that native apps are *very* good at this; I used to do Android development, and I worked alongside iOS developers as well, and this is just something we do by default – we avoid over-using the UI thread, we use background threads in order to keep the UI smooth. Web developers, I'd argue, are only dimly aware of this, and an understanding of the inherent limitations of mobile hardware hasn't really filtered through yet. But what I'd like to argue in this talk is that a well-designed PWA can win on all three of these fronts. So I'll go through each of the three points one at a time. Think of it as three 10-minute lightning talks (since I've got 30 minutes left!). Offline is a subject I feel very strongly about, because I maintain PouchDB (an IndexedDB library), and I've also contributed to LocalForage, another IndexedDB library. I am perhaps one of the 5 or 6 people in the world who actually enjoys working with IndexedDB. Now the reason I go through so much effort to write wrapper libraries around IndexedDB is I really believe in the concept of offline-first – the idea that you store data locally in the browser, and you prefer that local data whenever possible, instead of just going to the network for everything. But I have to admit, I've always had a problem with the term "offline-first" itself, if only because I felt it put the focus on the wrong thing. Or climbing on a mountain trying to catch some rare rock-type Pokémon – whatever this person needs their phone to do while they're climbing a mountain. These are all too easy to dismiss as edge cases. No, what offline-first is really about is speed. 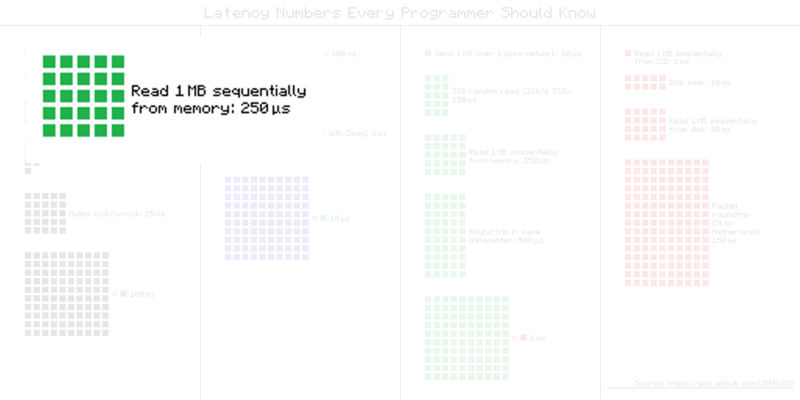 This is a nice chart of various latency numbers. I won't go through the whole thing, but I will call out some major features. First off, things get exponentially slower as you go from left to right. Each block color is worth 100 of the previous block color. 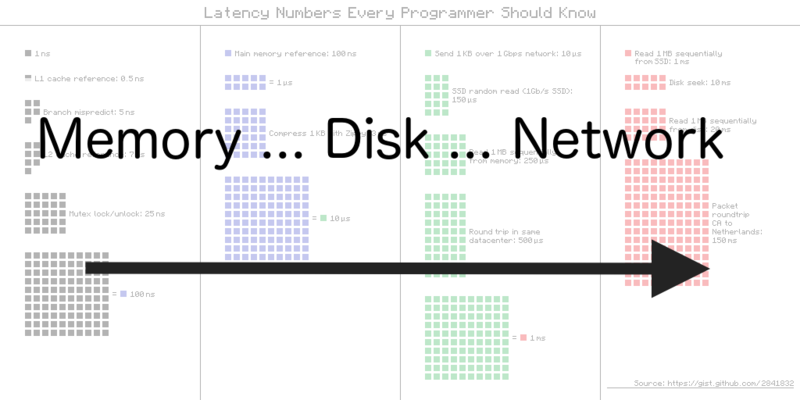 Second off, as you go from left to right, you start to move from mostly in-memory operations to mostly filesystem to mostly network. Here are three interesting numbers - the amount of time to read 1 MB from memory, 1 MB from SSD, and the time to send a single packet round-trip from California to the Netherlands (no, I did not choose the Netherlands!). To put it another way, this is what the previous slide tells us. 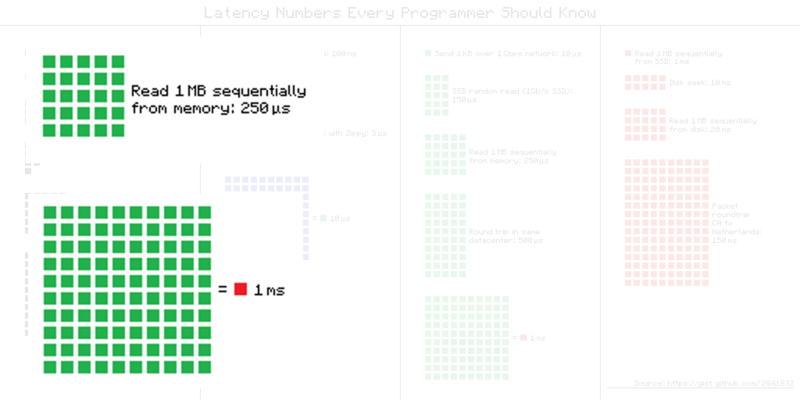 When you start to think in terms of offline-first, you tend to build apps that are faster regardless of the network conditions. 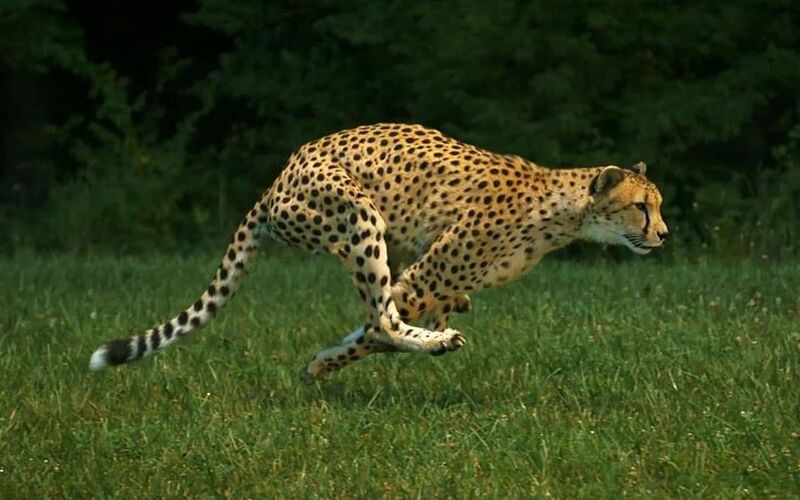 Even on a screaming fast network, it's almost always faster to hit the local cache instead. Here's a simple example: php.net. This autosuggestion box is eerily fast. How did they do it? Simple – it's just a big JSON object stored in localStorage. This feels faster than it ever could if it required a network round-trip. OK, so now hopefully I've convinced you that offline-first is a worthwhile thing to do. The web platform has always had two solutions to every problem: the deprecated one you shouldn't use and the one that's not yet ready. Unfortunately I gotta break some bad news to you. This is true of many parts of the web platform, but it's especially true of offline storage. 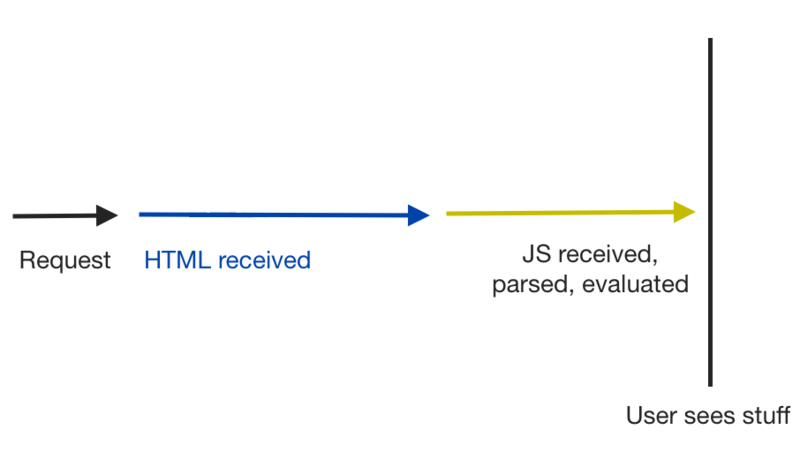 So basically, AppCache and WebSQL are deprecated, LocalStorage is quasi-deprecated, and the preferred modern solution is the Cache API (via Service Worker) and IndexedDB. Note that the new solutions are more low-level than the previous solutions. They may have a reputation for being difficult to work with, but the point is that folks are supposed to be building libraries on top of them to make them easier to use. If you're a beginner, don't get frustrated trying to use Service Worker or IndexedDB directly – use a wrapper library! OK, now let's talk progressive. The standard definition of "progressive" in the context of PWAs is that a web site "progressively" becomes an app you install to your home screen. On Android today this is accomplished with a cute little install banner. When we implement PWAs in Edge, we'll likely have something similar. Now there's another definition of "progressive" that's worth calling out – progressive enhancement, which has sort of a weak version and a strong version. And there are lots of proponents of the strong version. There was a strongly-worded article by Jeremy Keith called "Regressive Web Apps" highlighting the fact that most of the lauded PWAs actually don't work without JS. And noticed that most major sites suddenly stopped working. Here's Airbnb, Trello, Gmail, Dropbox, Facebook – all broken. Her reaction was one of horror, but for me, my own reaction was one of relief: wow, if even these folks can't get it right, then maybe there's hope for the rest of us! Here's an illustration of why I find this point perplexing. 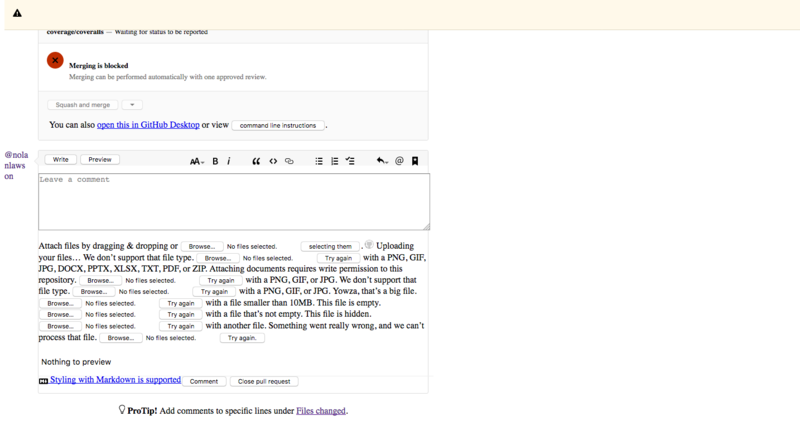 This is GitHub when the CSS fails to load. Not the JS – the CSS. 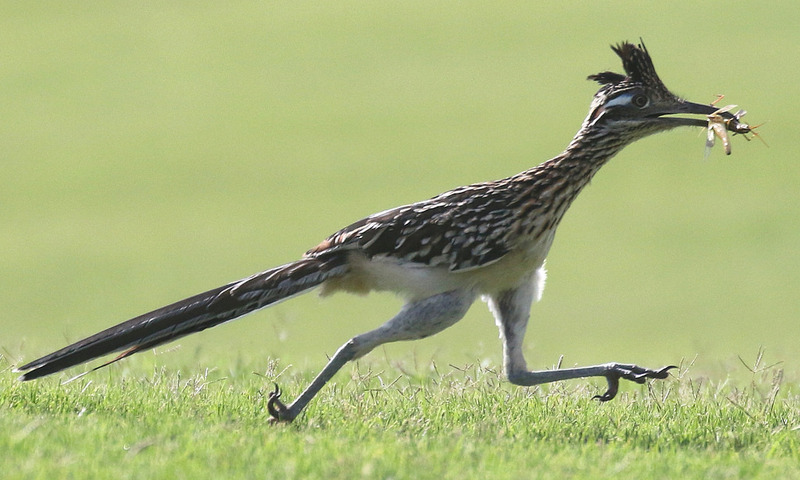 I actually ran into this in real life. Yes, this does happen! We've probably all seen sites like this. HTTP requests do fail. 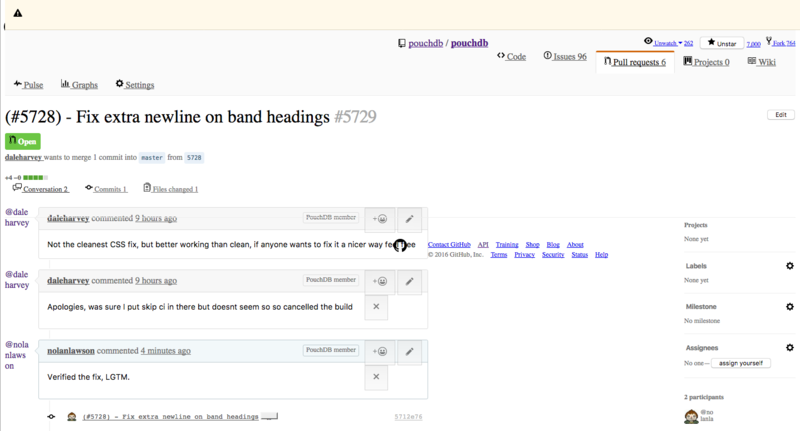 Now tell me, is this site particularly usable? Would you actually try to interact with it, or would you just refresh and try again when you've got a connection? I don't hear many folks telling us to disable CSS in our browser and ensure that our sites work without CSS. 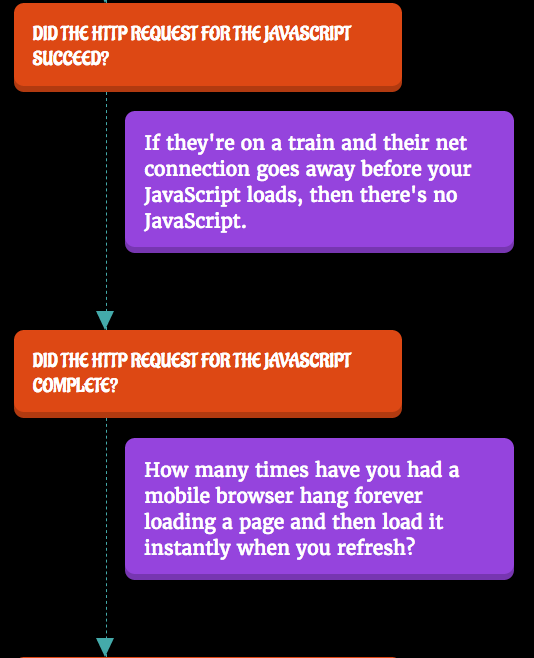 It's just as broken without it, the network request is just as likely to fail, but nobody is on a crusade against CSS, only JS. To me, there are three pillars of the web platform: HTML, CSS, and JS. You can't just knock one pillar out and say it has to work without it. That's absurd. 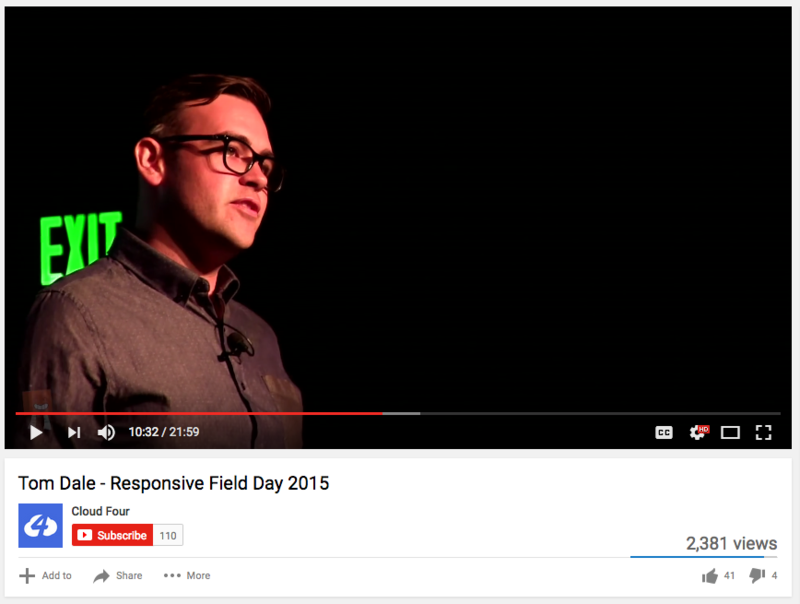 To me, Tom Dale had the final word on this in a talk at Responsive Field Day. What he basically says is that: if you really believe in the _spirit_ of progressive enhancement, that sites should be accessible to the largest number of people, then you should consider the next billion people who are coming online with only a smartphone. These folks have auto-updating modern browsers that run JS, but what they _don't_ have is a reliable internet connection. Smartphones are becoming more pervasise than connectivity. When you have a supercomputer in your pocket, but intermittent connectivity, the ability to work offline is the key to ubiquity. 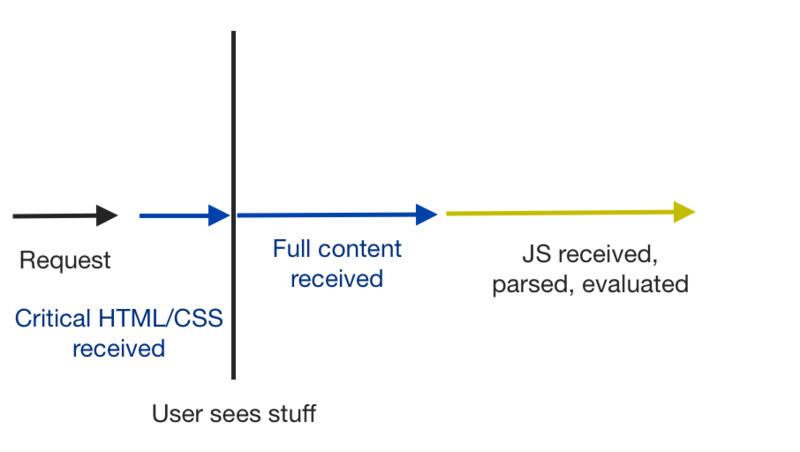 Now, there is somewhere where progressive enhancement is having a bit of vengeance, and that's with progressive rendering, or server-side rendering. 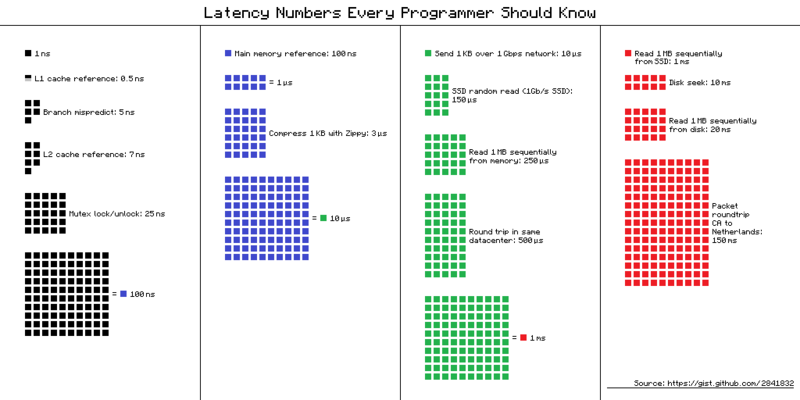 Why is it slow? Well, simply, you have to wait forever for the page to actually render. And frameworks, to their credit, have embraced this. The days of waiting for an Angular 1 app to load are gone. OK, now we finally get to multithreaded. 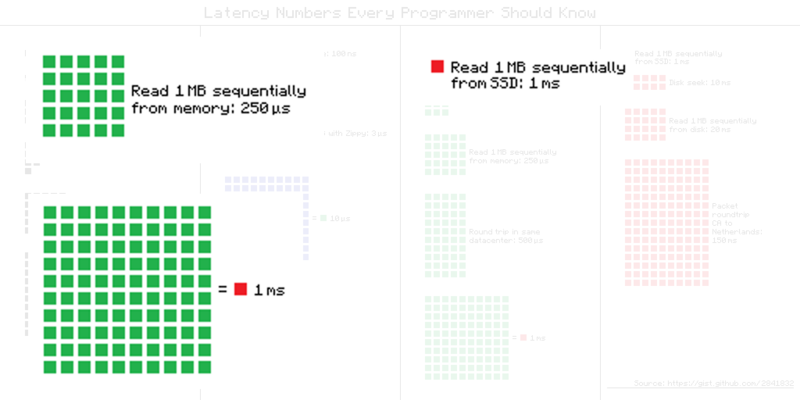 Why multithread? Very basically because of jank. Have you ever had the experience playing a classic NES game and everything started to suddenly sloooow doooowwwwn because there were too many sprites on the screen? 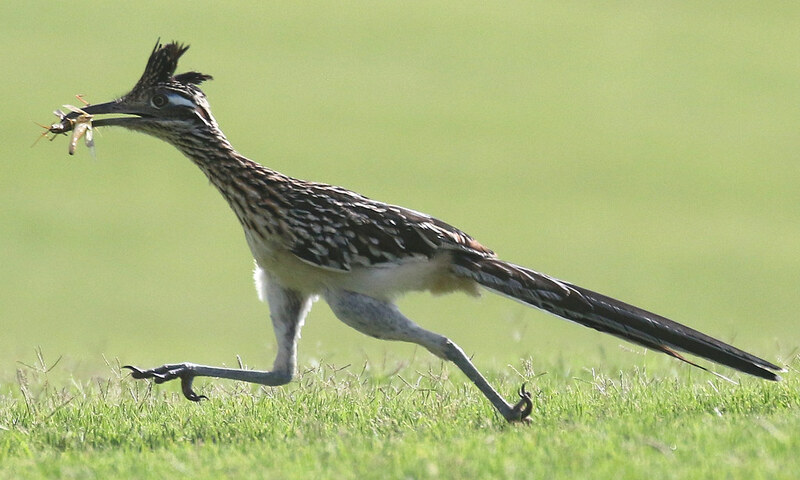 This is what the mobile web feels like to me today. And the reason it happens is because the DOM is single-threaded, and JS is single-threaded, and modern webapps are just doing too much work on the main thread. Here's a simulation of jank. Notice how the animations are choppy, and the scrolling gets stuck. This is the mobile web in a nutshell. But from my perspective, especially given my experience as a native Android developer, I feel this is totally avoidable. The truth is we don't need to milk just one single core. 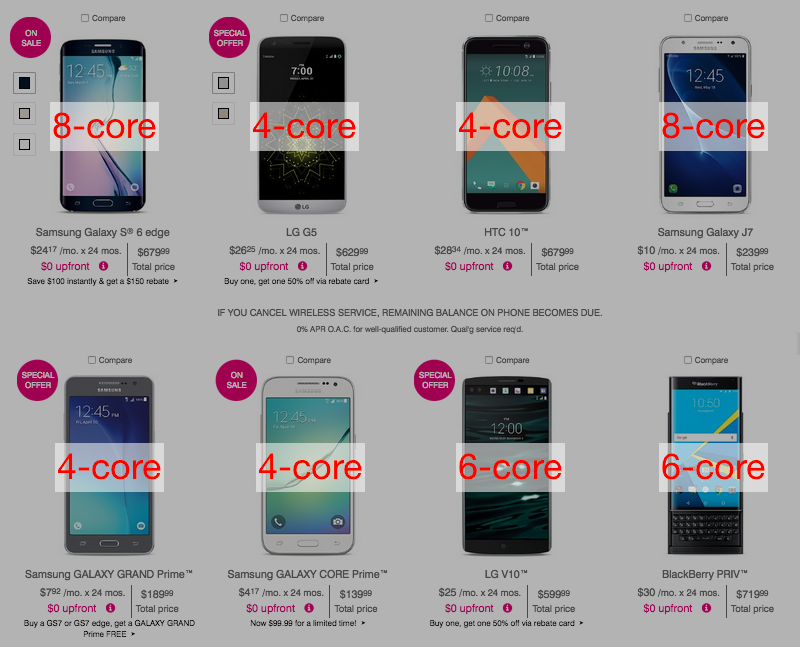 Even cheap Android smartphones sold today have four, six, eight cores. 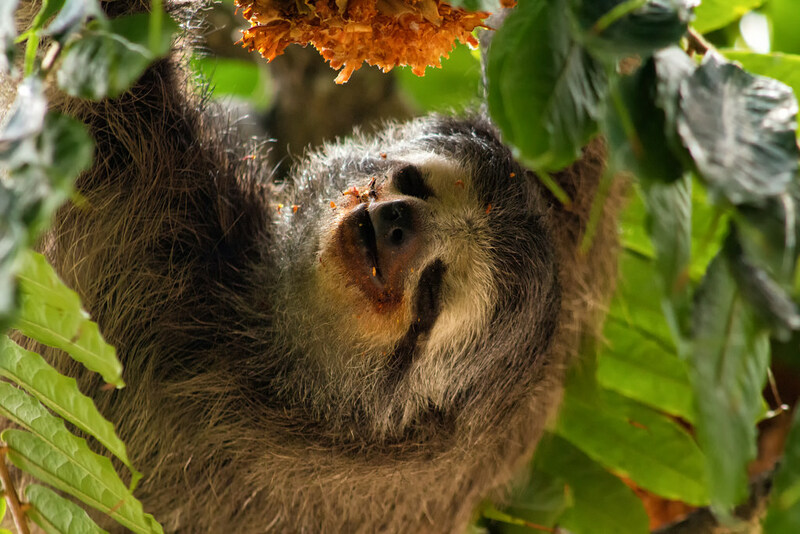 Yes, they're slow, but they can do four things slowly at once! This is a powerful concept. Browsers themselves can help fix this situation by moving more logic to background threads themselves. 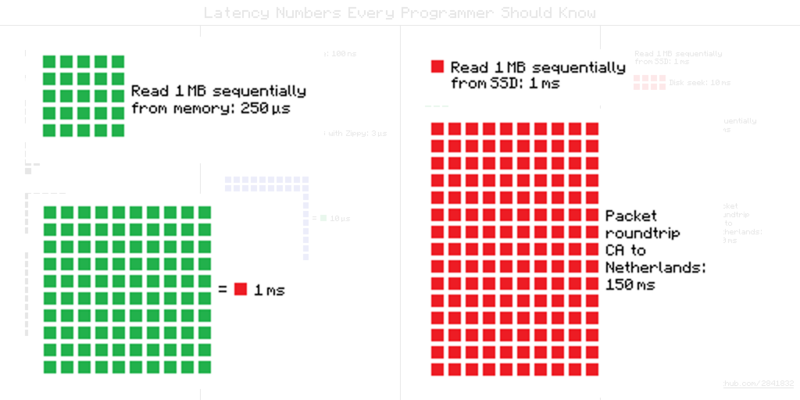 In Edge, we actually do a lot of garbage collection, JITing, and parsing on background threads. Another fix is passive event listeners. This essentially allows the independent scrolling thread to never ever have to touch the main thread, which is usually a traffic jam. Here's the impact in a nice side-by-side comparison by Rick Byers. 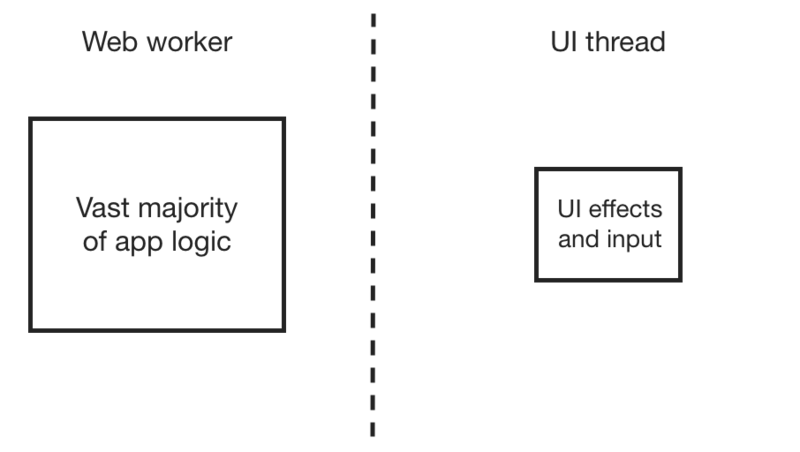 To put it another way, I wanted to promote an architecture where the vast majority of app logic lives inside the worker, and the UI thread just does UI stuff. And this really works! 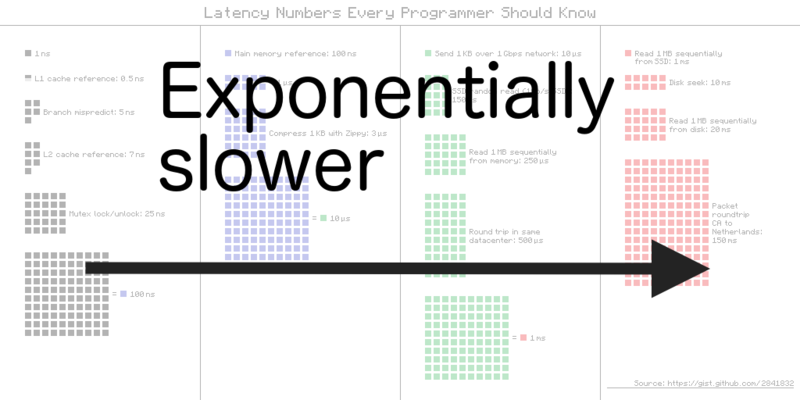 There is research showing that you can get higher framerates, especially for very busy apps, by moving rendering logic into a web worker. Aside from Angular 2, though, I haven't seen any framework really embrace this. 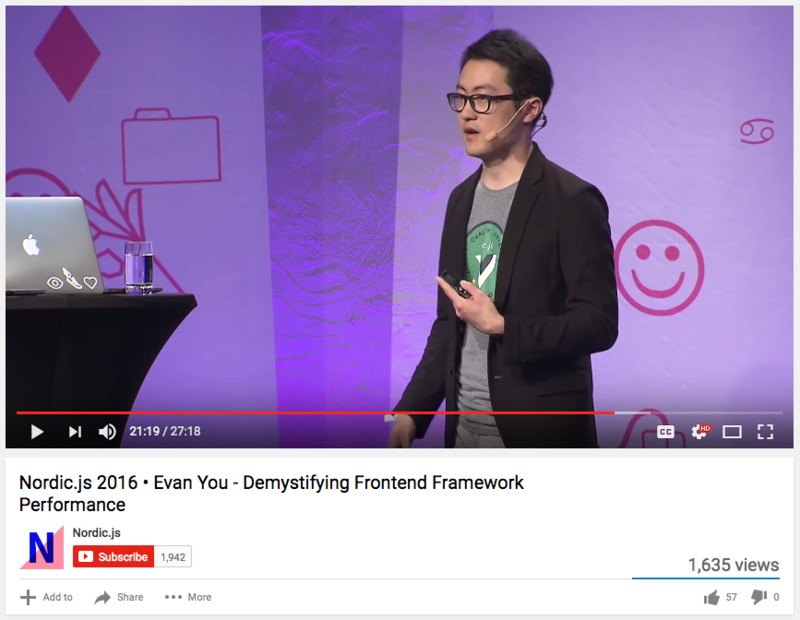 Evan You, creator of Vue.js, offers an interesting observation on this. The gain is pretty marginal... and it just adds a lot of development complexity. 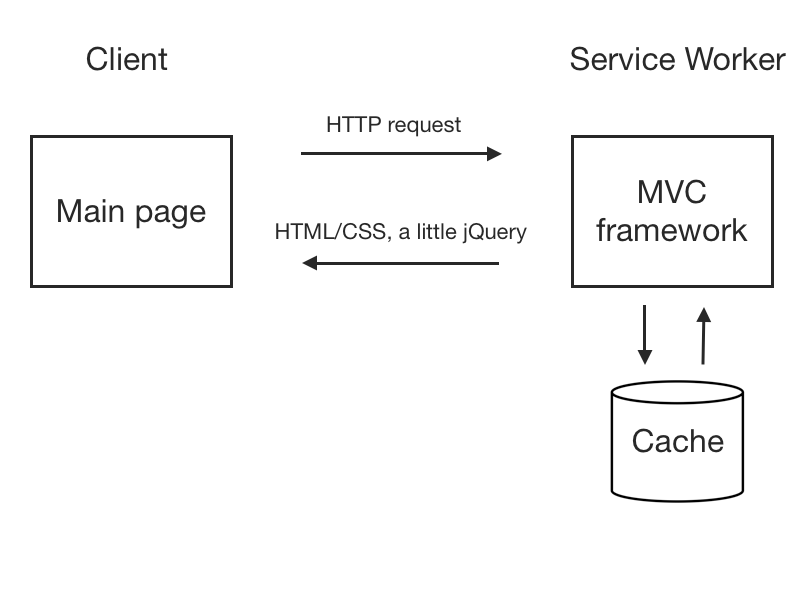 This is probably the reason we haven't seen web worker-based rendering architecture widely used in real apps. (Read Evan's quote.) He's right that the gain mostly comes from very heavy apps, and even then it might only be 5-10 FPS, as is the case with the DBMon example I showed. So that's a fair criticism. 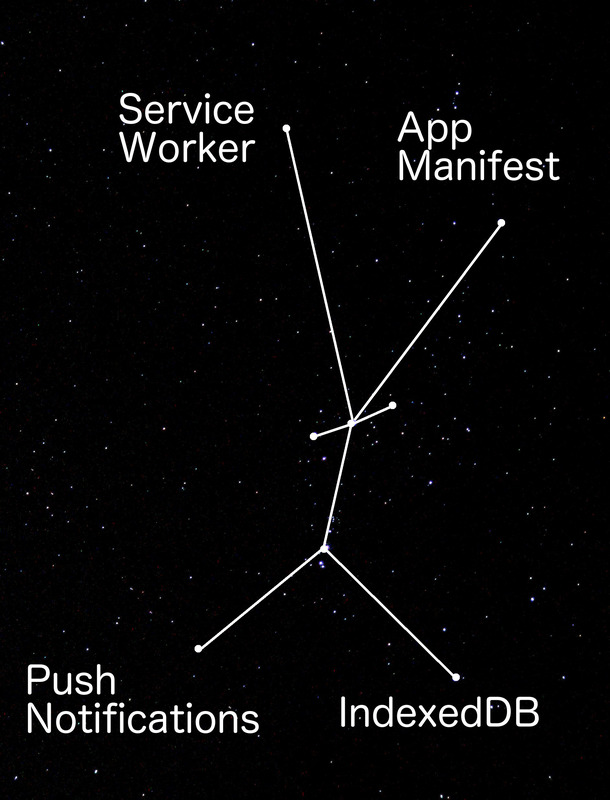 Maybe the web worker overhead is too much for the average app. So here's another idea for fixing the multithreading problem. Remember how we built apps in 2009? 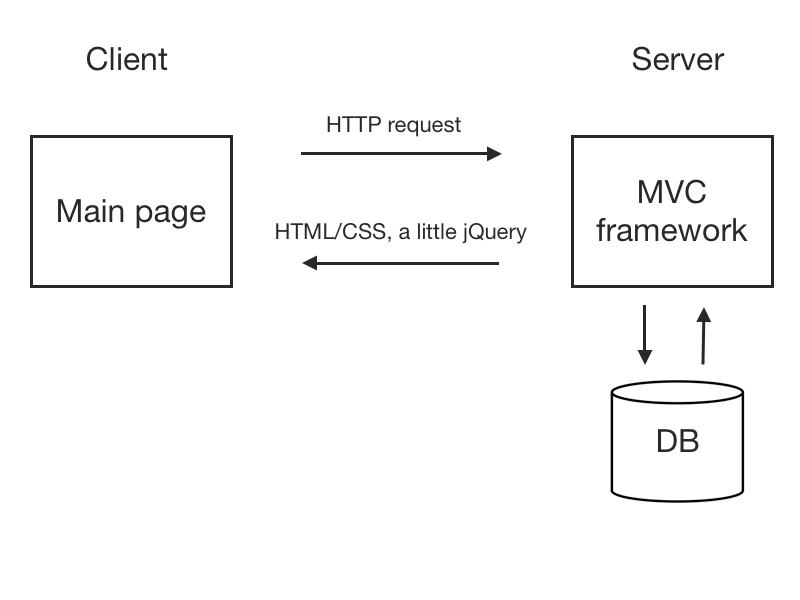 Rails/Django/Grails on the server, a little jQuery on the client? Main thread was not very busy; most action was happening on the server. It was kind of nice, right! Much fewer problems with janky UI threads, although we did have the problem of a slow, unreliable network between client and server. Now consider that Service Worker is in development in Edge right now, and WebKit has shown some interest too. 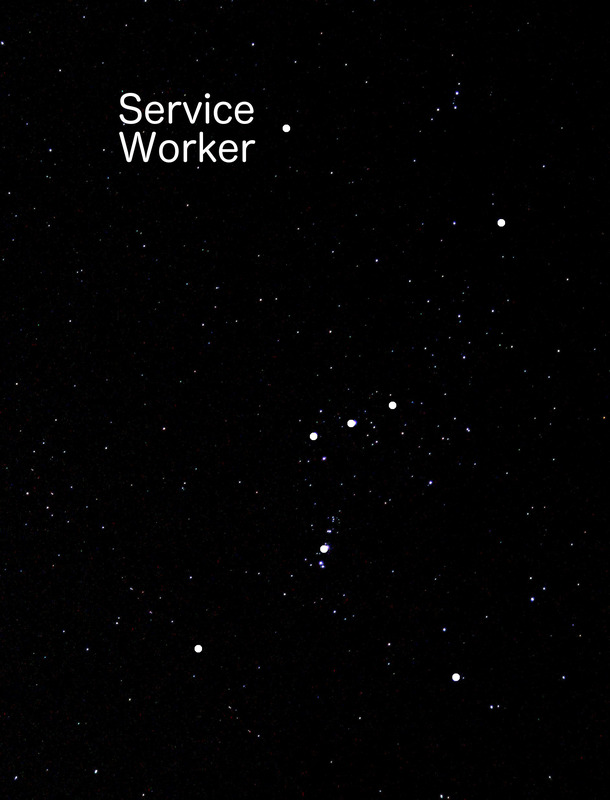 So maybe we can dare to imagine a future where Service Worker is supported in every browser. 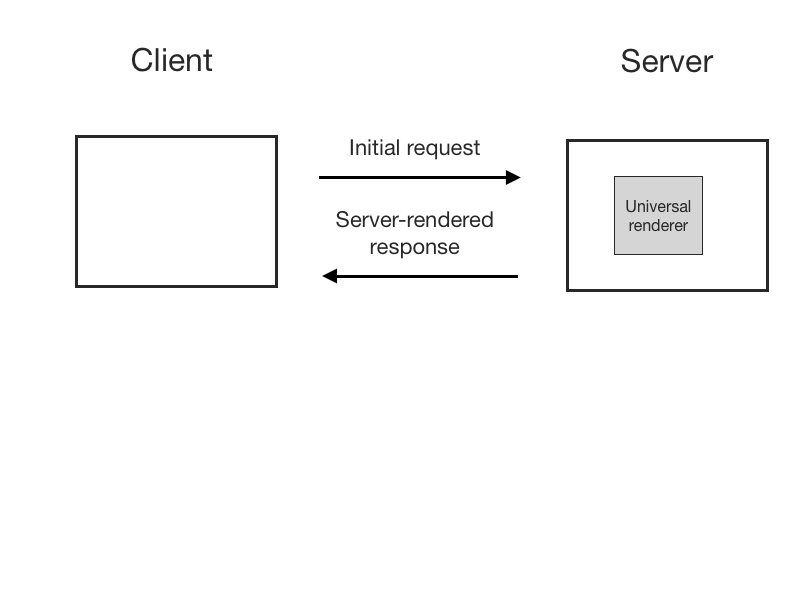 OK, so what about progressive rendering aka server-side rendering? Then presumably you could run that same logic inside of the server to generate the initial view of the app. This is just a sketch of which direction we might go in. 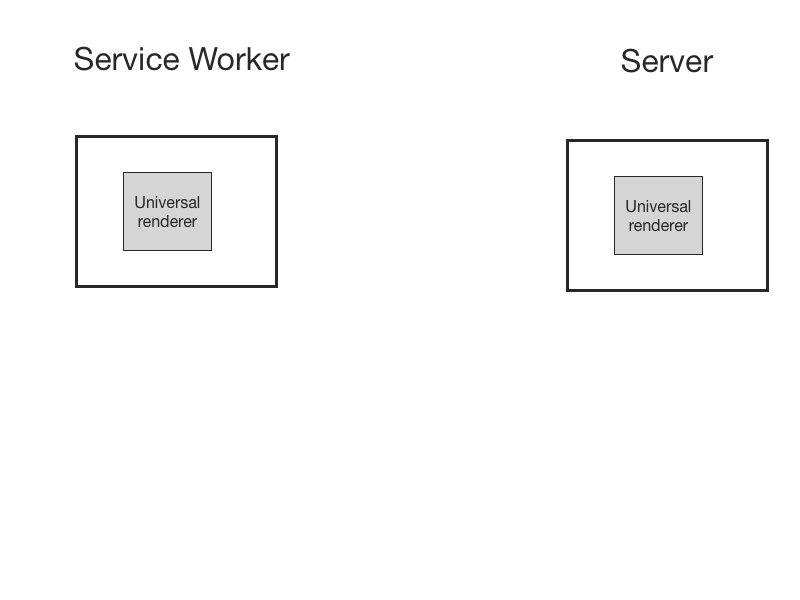 But once you have Service Workers and Web Workers available in all browsers, you could potentially mix and match these different kinds of architectures. I have no idea what combination is going to end up being the most ergonomic, but I would like to see a future where more logic is run on background threads, rather than on the main thread. This is how we solve the jank problem. Gleb Bahmutov in particular has been doing some interesting thinking along those lines. 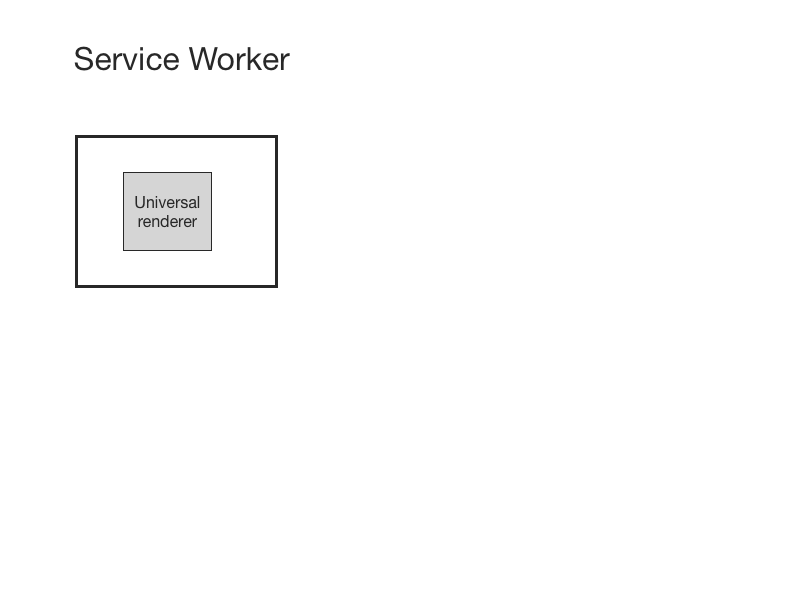 Why not run Express inside of a Service Worker? 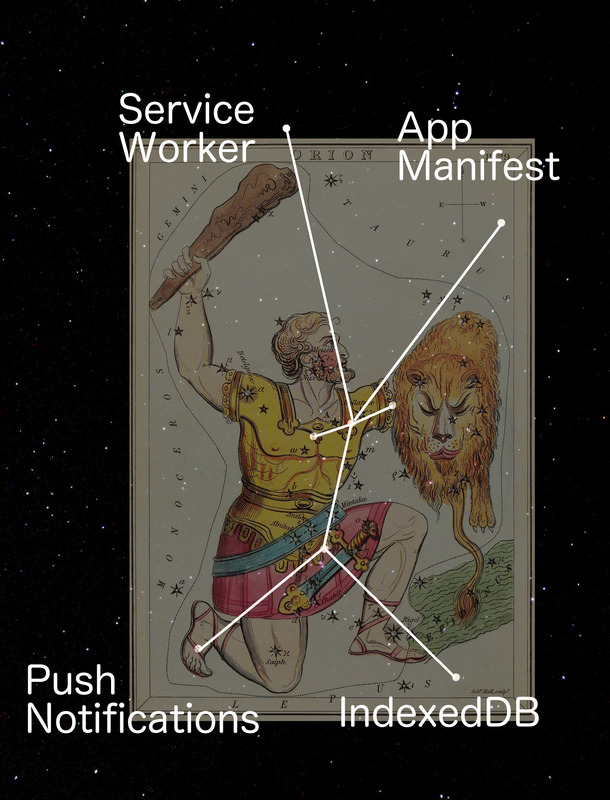 Why not run Babel inside of a Service Worker? So in general – webapps of the future (progressive web apps) should ideally work well offline, be progressive, and also make use of more than one thread. Some of the techniques I've discussed might feel like a lot of gymnastics, but let's remember why we do this – it's all about the user. It's about making a better experience for them, making apps that are pleasant to use, making the web a first-class citizen on every platform.